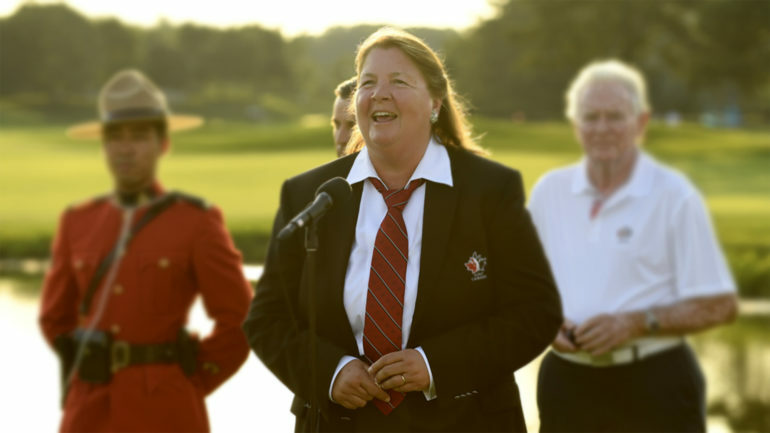 Leslie Dunning might be expected, as she leaves the presidency of Golf Canada after an eventful year, to focus just on the milestones. And there were some notable moments, including trophy presentations to the likes of the world’s top-ranked male golfer, Dustin Johnson, at the RBC Canadian Open and, even more memorable, the presentation to Brooke Henderson of Smiths Falls, Ont., who became just the second Canadian to win the CP Women’s Open. How about the announcement of a new, more preferable date for the 2019 RBC Canadian Open? Seeing a historic modernization of the Rules of Golf come into effect? 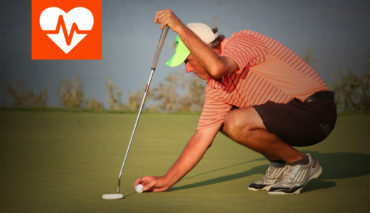 Or travelling to iconic tournaments such as The Masters and the U.S. Open? While Dunning acknowledges those were wonderful experiences, she chooses to highlight themes, rather than events. And that should come as no surprise, if you recall her “mantra” when she was elected a year ago. “I’m trying to make sure that I’m doing something every day to grow the game in Canada,” she told me at that time. As a result, she harks back to attending historic events such as the inaugural CP Women’s Leadership Summit, the first Women’s Summit hosted by the National Golf Course Owners Association Canada, and others, such as when Golf Canada invited some long-overdue guests to the RBC Canadian Open. 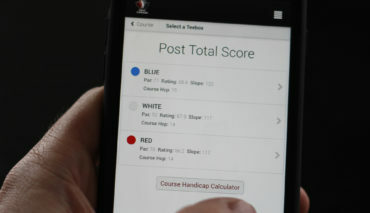 In an effort to “walk the talk” expressed in Golf Canada’s Equity, Diversity and Inclusion Policy (the outcome of a task force Dunning spearheaded), representatives of about a dozen golf organizations were invited to Glen Abbey to share information about their organizations and learn about Golf Canada.. While perhaps not as exciting as meeting DJ and Brooke or walking the hallowed grounds of Augusta National, Dunning’s dedication to staying true to her “mantra” is undoubtedly more impressive and impactful. To say her calendar was full is an understatement and many of the occasions were focused on expanding diversity and inclusion in golf in Canada. 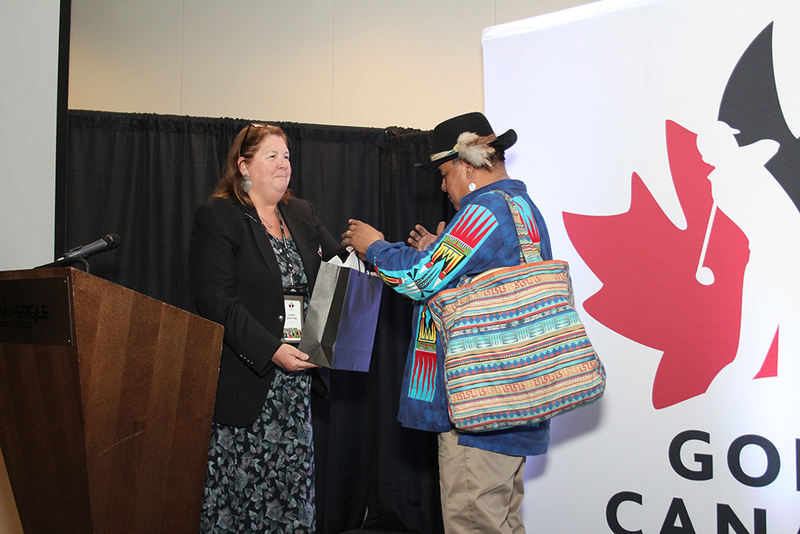 It started with hosting last year’s Golf Canada annual general meeting on the Tsuutina Nation near her home in Calgary where Golf in Schools kits were gifted to the Nation’s elementary and high schools. And the pace seldom slowed. She is optimistic about the commitment to diversity and inclusion by everyone involved in golf in Canada. “We are seeing diversity and inclusion on conference agendas, in magazine articles and in policy and program development.” Not only did she write an article on equity, diversity and inclusion for the Canadian Society of Club Managers magazine, she also gave a number of interviews and presentations focusing on the topic. 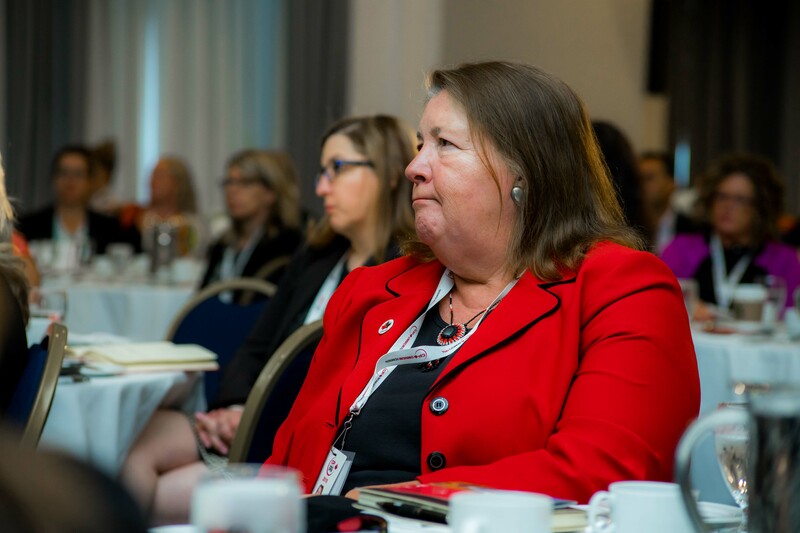 Sandwiched between all this were Golf Canada Board of Directors meetings and other governance responsibilities, something Dunning takes very seriously, especially as she was working with the association’s new CEO, Laurence Applebaum, though his first full year on the job. She says working with Applebaum has been “a real pleasure” and credits “a great and hard-working Board, committed volunteers and talented staff” for their invaluable contributions. Dunning will hand over the reins to Charlie Beaulieu of Montreal at Golf Canada’s annual general meeting on March 2, 2019 in Montreal.